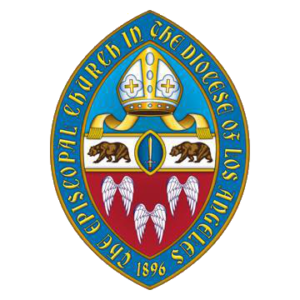 In a pastoral letter to the Diocese of Los Angeles issued on Jan. 24, Bishop John Harvey Taylor speaks to a resolution from the July 2018 General Convention that suspends the statute of limitations on reporting acts of sexual misconduct by bishops, deacons, and priests against adult victims. Full text of the letter follows. To help make sure that the Church keeps its promise especially to those the Church itself has injured, the 79th General Convention, which met this summer in Austin, passed Resolution DO34. The measure suspends the statute of limitations on reporting acts of sexual misconduct by bishops, deacons, and priests against adult victims. This means that if you were the victim of sexual misconduct by a clergyperson, no matter how long ago it occurred, you may lodge a complaint. The three-year suspension window opened on January 1, 2019. It closes on December 31, 2021, after which the statue of limitations will again be in effect. The leaders of our Church took this step in response to the #metoo movement, which also inspired them to organize a service of truth-telling and accountability during convention. From these and other experiences, as our culture wakes up to the reality of its legacies of power imbalances and abuses of power, we have learned that victims often keep their secrets for years, even lifetimes. If something happened to you, and you felt you wouldn’t be heard or it wouldn’t be safe to speak, the Holy Spirit has opened a door. As your bishop, I wholeheartedly support this measure, pray for those whose voices it may at last enable to be heard, and promise to do all I can to make sure that allegations are taken seriously and investigated thoroughly. In the Diocese of Los Angeles, we have three individuals who serve as intake officers under Title IV. They are the Rev. Canon Joanna Satorius (jsatorius@ladiocese.org), the Rev. Thomas Discavage (tdiscavage@ladiocese.org), and the Rev. Michele Racusin (mracusin@ladiocese.org). All three of our colleagues may be reached by email or by calling our offices at 213.482.2040. If for any reason you would prefer to speak to someone else, you can also make a report to your own priest or to me as your bishop. We will do all in our power to keep your communication confidential during the investigation. I commend to your attention another letter on this topic, by our Presiding Bishop Michael Curry and the President of the House of Deputies Gay Clark Jennings. Click here to read this letter on the diocesan website. You will find the canons of The Episcopal Church, including the Title IV disciplinary canon, here. Let us pray together for God’s healing for anyone harmed by clergy misconduct and for God’s blessing on The Episcopal Church as we live ever deeper into our kingdom work of justice and peace.